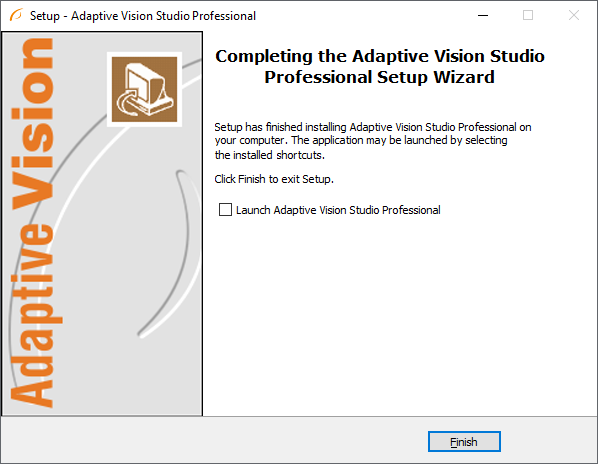 Important: Adaptive Vision Studio setup program requires the user to have administrative privileges. 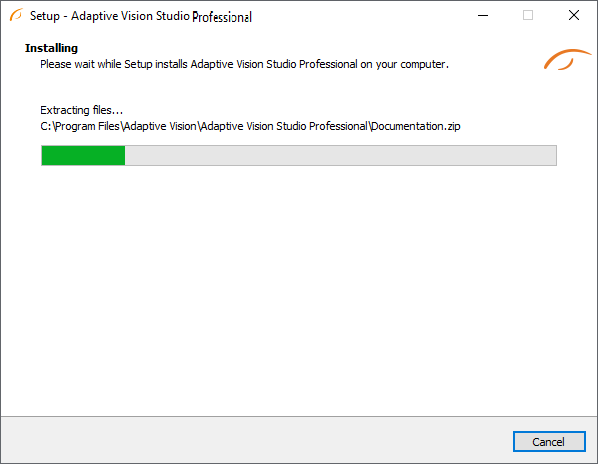 Please choose the language for the installation process and click OK to proceed. 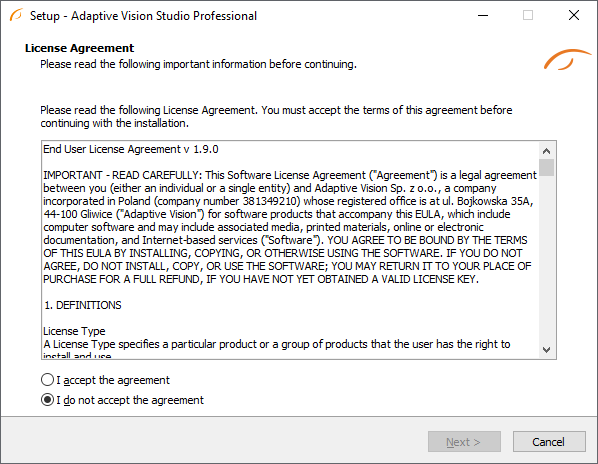 Click I accept the agreement if you agree with the license agreement and then click Next to continue. 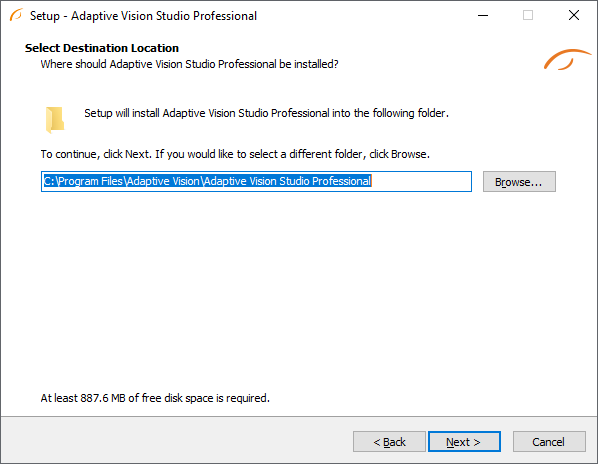 Choose where Adaptive Vision Studio should be installed on your disk. Choose which additional components you wish to install. 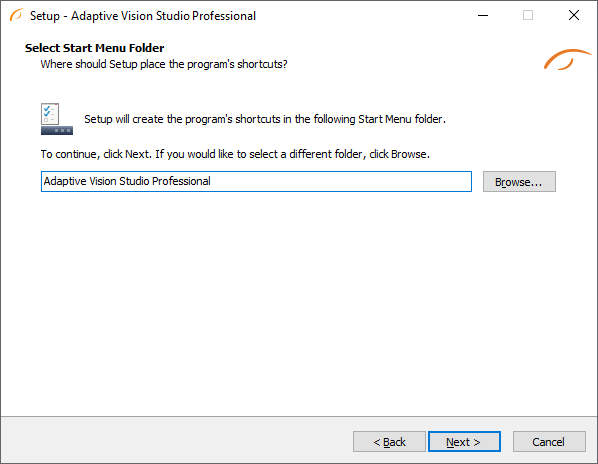 Choose if Adaptive Vision Studio should create a Start Menu shortcut. On this screen you can decide if the application should create a Desktop shortcut. 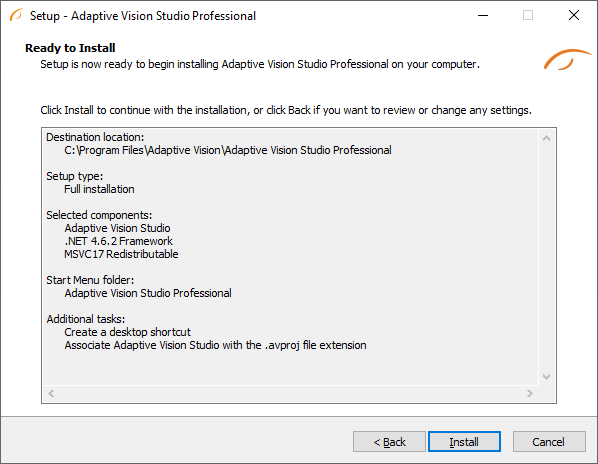 You can also decide to associate Adaptive Vision Studio with the .avproj files. Click Install to continue with the installation or Back to review or change any settings. Please wait until all files are copied. At the end of the installation you are able to run the application. Combined Installer for 32bit Systems (x86) and 64bit Systems (x64). 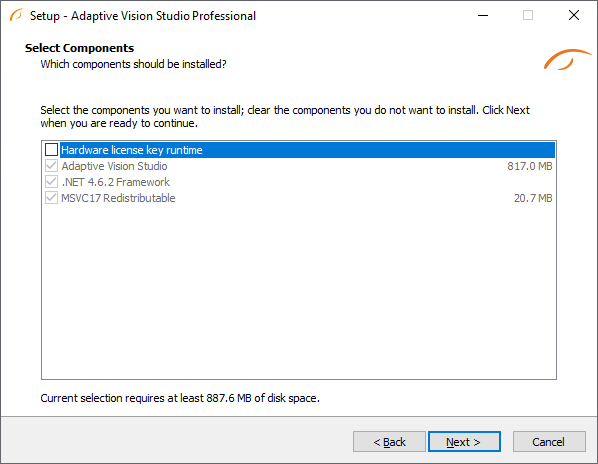 Allows to choose only one version to install, if needed. CodeMeter User Runtime for Windows (only when hardware license key will be used). 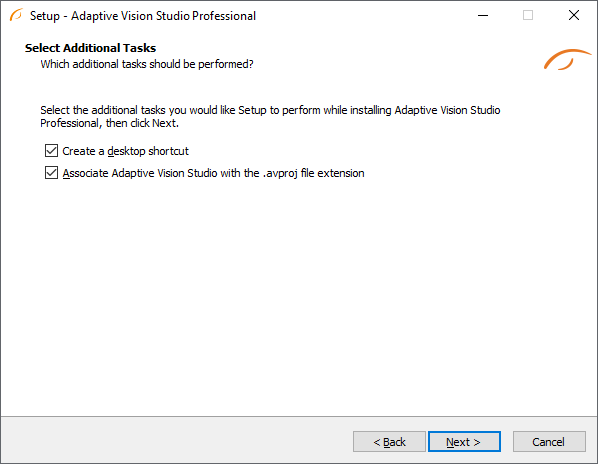 To remove Adaptive Vision Studio from your computer please launch the program at Start » All Programs » Adaptive Vision » Adaptive Vision Studio Professional » Uninstall and follow the on-screen instructions.